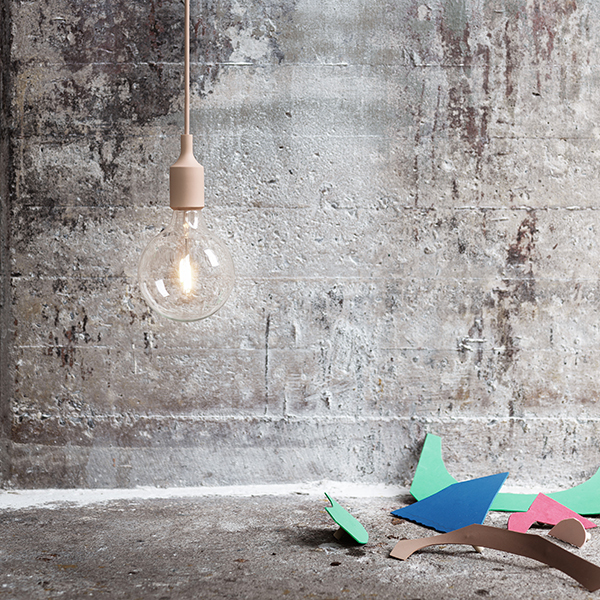 The E27 light, designed by Mattias Ståhlbom, has become one of Muuto’s most iconic designs. 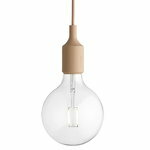 The reduced pendant is composed of a large led bulb and a matt socket with a matching cord that come in array of both muted and vibrant colours. E27 works equally well as an individual source of light and as in groups or clusters. Ståhlbom on his design: “The simplicity of the naked bulb is hard to compete with. It stands for something that feels romantic and contemporary at the same time. E27 departs from the essence of a lamp - the socket - creating a simple yet strong object that celebrates the potential beauty in simplicity. Mattias Ståhlbom (b. 1971) is a Swedish architect and designer who studied Interior Architecture and Furniture Design at the Konstfack University of Arts, Crafts and Design in Stockholm. He is a partner in the internationally successful Swedish design and architecture studio TAF Architects, run together with the Swedish architect Gabriella Gustafson. Mattias Ståhlbom’s product designs have been exhibited in prestigious museums such as the MoMA in New York and the Swedish National Museum in Stockholm. Mattias Ståhlbom has displayed his products also at major trade fairs such as Swedish Style in Tokyo, the Furniture Fair in Milan and the Design Fair in Seoul. He has designed furniture and kitchen utensils for a number of well-known Swedish companies and worked in the field of design in New York. He has also received numerous awards, including the “Young Design” award. One of Mattias Ståhlbom’s most famous product is the E27 socket lamp, which has become an international success. 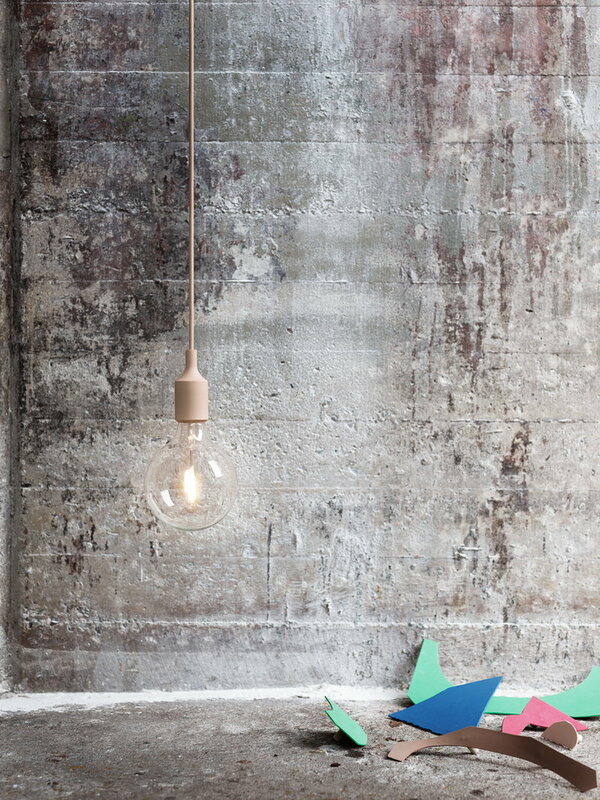 Thus he comments about his creation: “The simplicity of the naked bulb is hard to compete with. It stands for something that feels romantic and contemporary at the same time. E27 departs from the essence of a lamp - the socket – creating a simple yet strong object that celebrates the potential beauty in simplicity”.